With so much to do in Northern Ireland, it can be a difficult task trying to decide how to spend our well-deserved spare time. So whether you’re big into your golf. 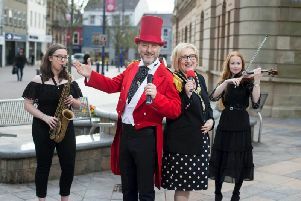 or you fancy attending one of Belfast’s first Family Festivals, or you simply want to take in a new show at the Lyric Theatre - check out our pick of the top 10 things to do in Northern Ireland this week. We reckon comic book fans will love this one!